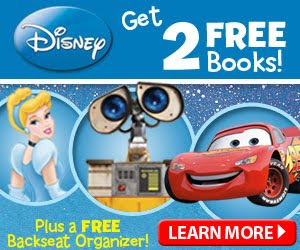 This is a great way to start building a Disney book collection for your little ones! You will get three hard cover books for $4.99 + shipping with no obligation for further purchases when you sign up for the Disney Book Club. *Note: You will automatically receive three new books per month unless you cancel your membership, but you can cancel at any time!